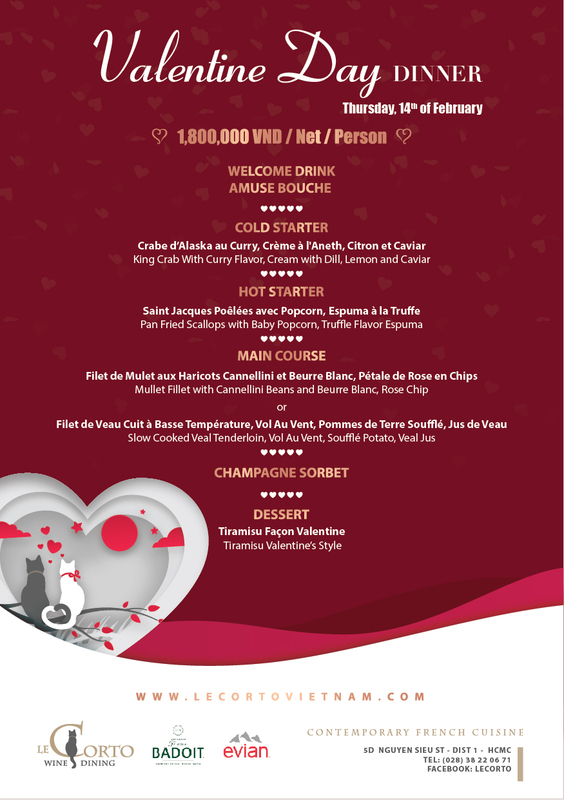 Welcoming all lovers for our one and only Valentine’s Dinner, available only on February 14th. Check out Chef Sakal’s latest creation filled with delicacies from caviar, scallops and truffle, handled with the utmost care and attention to details of #teamcorto. Paired with our beautiful winelist and heartful service, we ensure this will be an evening you will never want to forget! Available on February 14th only. Advanced reservation is recommended.